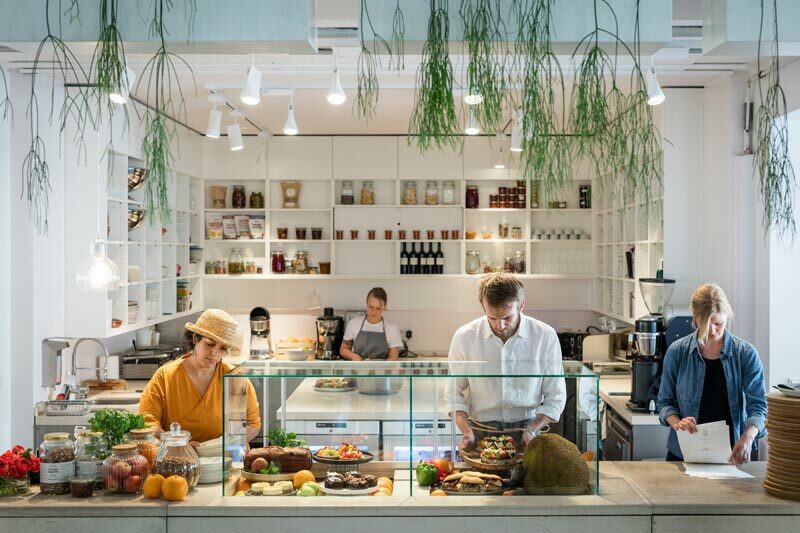 We designed and led the delivery of Hermann’s, a new multi-functional co-working space centred around food innovation in the Mitte district of Berlin. Working alongside internationally renowned German confectionery Bahlsen, the project was borne out of a desire to revisit the ethos of invention and experimentation, which has been present throughout its long and continuing history as a biscuit manufacturer family business. Focusing on the activity of the individuals, the design language was deliberately pared back. Through a combination of niche spaces, reconfigurable furniture and opportunities for display and demonstration, the space functions as an environment for discussion, collaboration and innovation. A consideration to transparency and openness runs as a common thread throughout the ground floor area. 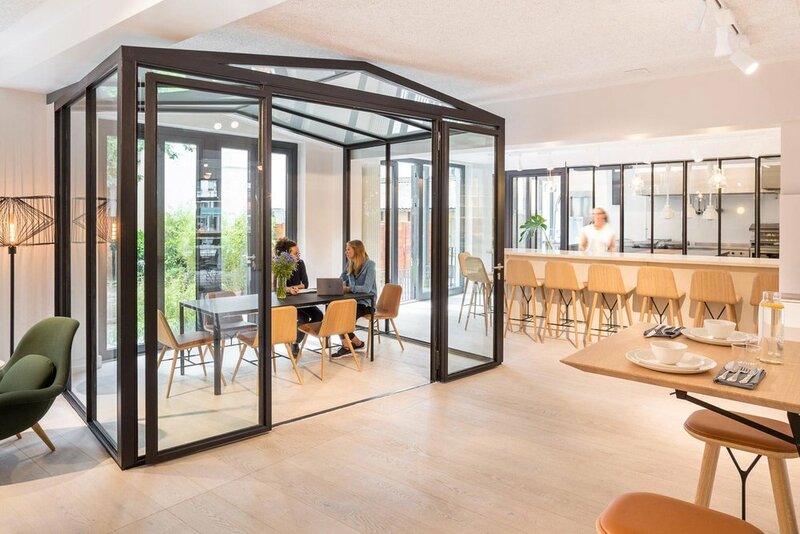 A meeting room within a central ‘greenhaus’ provides acoustic separation whilst maintaining a visual link with the main space. 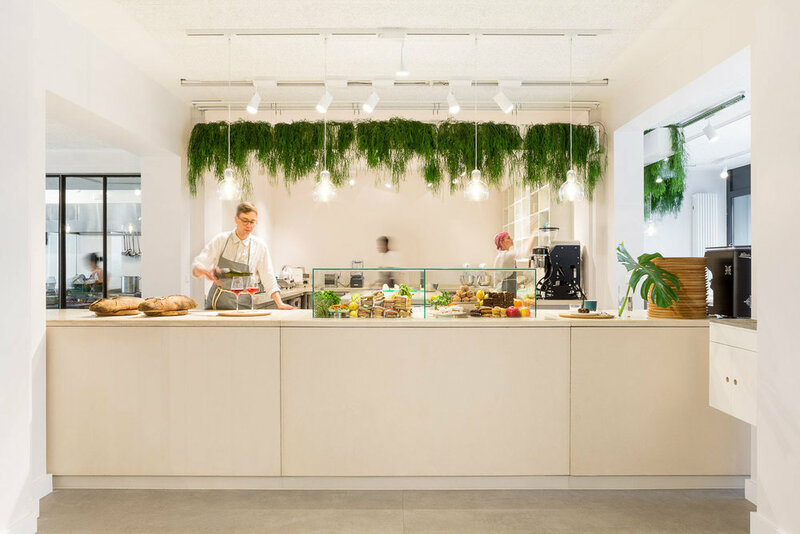 References to produce and horticulture enliven the space throughout, with high-level planting adding colour to the soft pastels of the interior. The basement level provides a darker, more intimate setting with lighting installations, patterned partitions and ceramic reliefs referencing the textures of the biscuit moulds of the wider Bahlsen heritage. The centrepiece of the room is a 20 metres cast in situ concrete counter that threads through the columns within the space. Its minimal aesthetic and form references the original conveyor belt machines of Bahlsen’s Hanover-based factory. 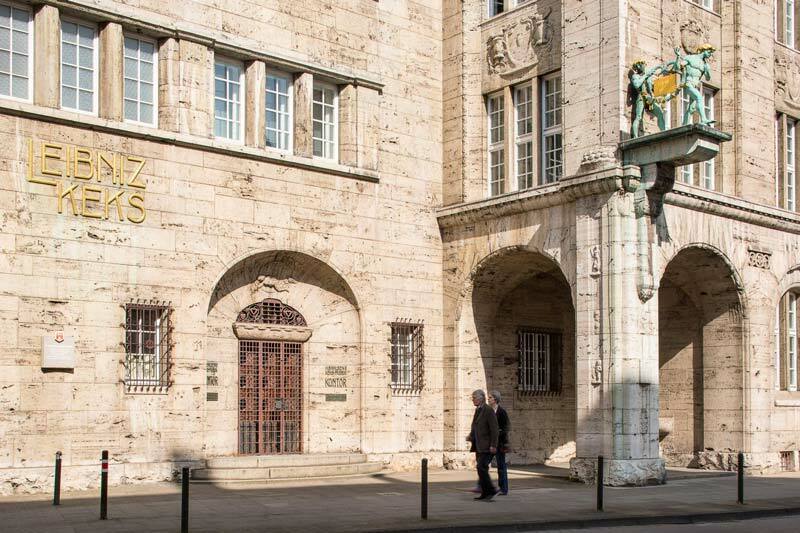 Launched in June 2017, a unique programme of events has been curated in order to bolster this exciting platform within Berlin’s dynamic co-working scene. Hermann’s featured in the New York Times. Bespoke Puzzle Table nearly completed and ready to go!